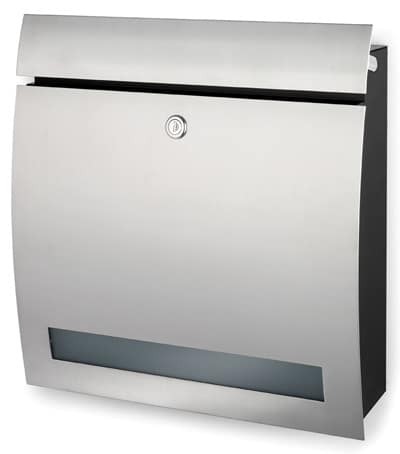 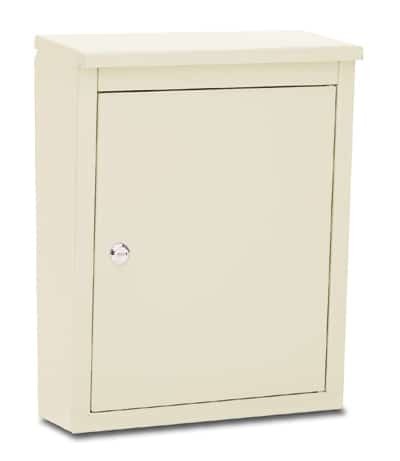 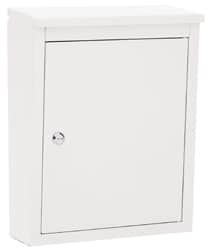 Soho Locking Wall Mount Mailboxes offers a contemporary design with large mail capacity. 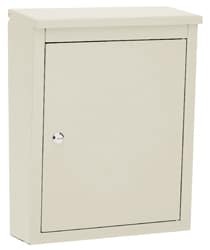 Mail is delivered through the flip top hood that opens fully; inside an oversized mail slot accommodates most mail and soft packages. 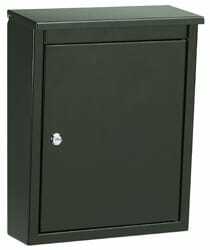 Made from 20 gage steel and assembled primarily by rivets and finished inside and out with durable powder coating, this residential wall mount mailbox was made for years of mail storage and protection. 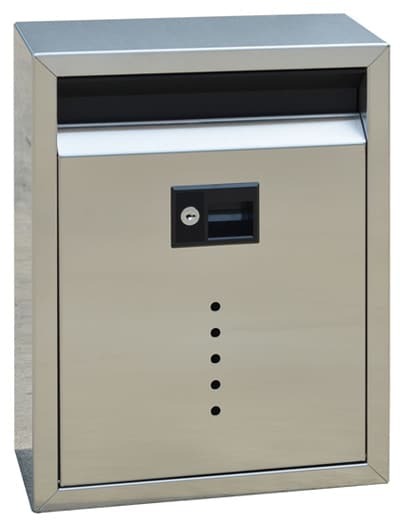 Storage compartment locks with a stainless steel cam lock with dust shutter and comes with 2 keys. 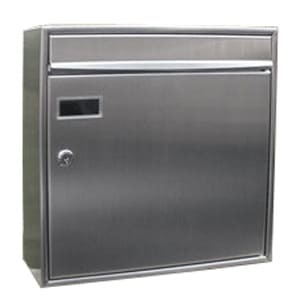 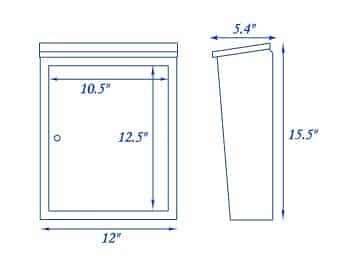 Soho locking wall mount mailboxes are easy to install and each comes with mounting hardware and instructions. 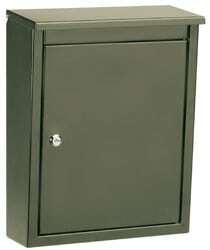 For a non-locking option you can opt for a thumb latch which replaces the cam lock. 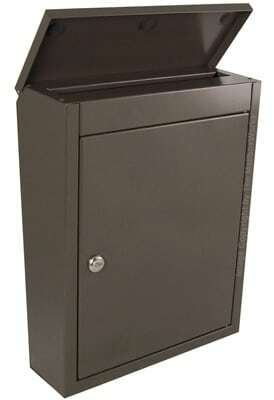 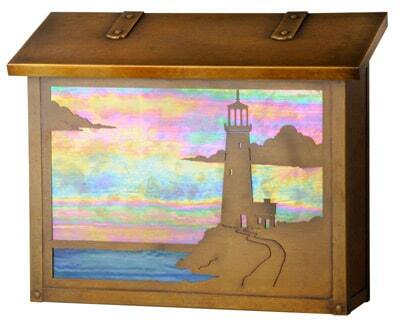 Shown here in sand, the Soho mailbox comes in 5 stylish color finishes to suit any residential exterior.